Double Bayou Watershed Protection Plan recognized for advancing the goals and strategies of the Houston-Galveston region. The Woodlands, Texas, December 12, 2016	(Newswire.com) - Houston Galveston Area Council’s (H-GAC) Our Great Region Awards recognize outstanding projects in the region that advance the goals and strategies identified in the Our Great Region 2040 plan. 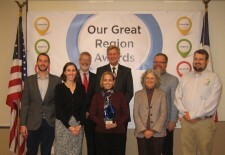 On December 2, 2016, the Double Bayou Watershed Protection Plan project received the Our Great Region Diligence Award. The Diligence Award honors a project that applied a creative and tenacious project approach to overcome challenges to implementation. Since 2012, the Houston Advanced Research Center (HARC) has worked with the USGS and Shead Conservation Solutions with funding from the Texas State Soil and Water Conservation Board/EPA and the Galveston Bay Estuary Program to develop a Watershed Protection Plan (WPP) for Double Bayou. Through the WPP process, stakeholders in the Double Bayou watershed including community leaders, elected officials, landowners, nonprofit organizations, and representatives of relevant local, state, and federal agencies met to collaborate on the development of the WPP. The Double Bayou WPP has been approved by stakeholders and was accepted by the EPA on June 7, 2016 as having met the nine element criteria for successful WPPs. WPPs, vital to improving water quality in our region, are locally-developed and stakeholder-driven plans that give the decision-making power to the local groups most vested in the goals specified in the plans. 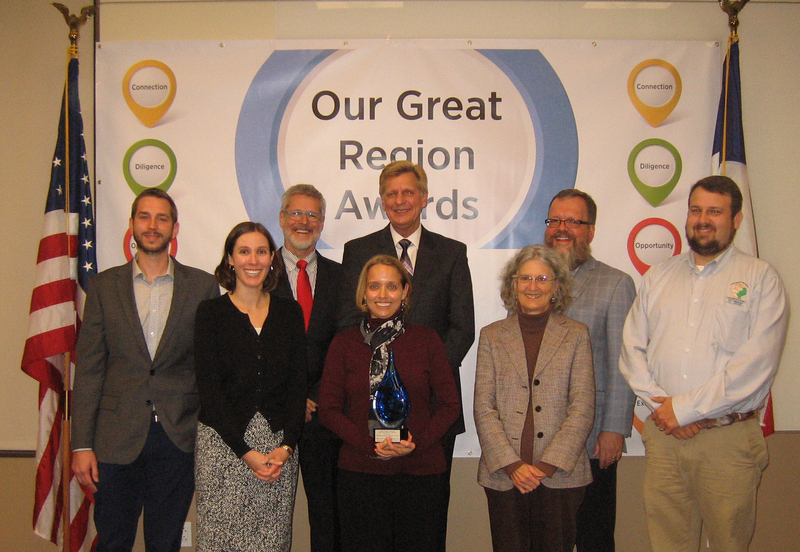 "It's an honor for the project to receive this award, which highlights the importance of WPPs in protecting regional water quality," said Dr. Stephanie Glenn, HARC Program Director of Hydrology & Watersheds. For the past several years, the watersheds surrounding Galveston Bay have been moving towards the development and implementation of WPPs. Each regional project learns lessons from the last successful WPP, thereby building more effective and comprehensive plans through experience. The Double Bayou project benefited from regional successful WPPs. The Double Bayou project exemplifies a model for coastal or tidally influenced rural watersheds, as well as watersheds with scarce water quality data sets. This project was stakeholder-driven, and their contribution was vital to successful plan development. HARC (the Houston Advanced Research Center) is a 501(c)(3) nonprofit organization that works as a research hub providing independent analysis on energy, air, and water issues to people seeking scientific answers. Houston Advanced Research Center (HARC) and partners in the Houston-Galveston region mobilize to gather and analyze environmental impact data associated with Hurricane Harvey.